I worry for young people these days. I know every generation says that about the one that follows, but today’s youth may face a world where simply being human won’t be good enough. Augmentation may be required to participate in society. 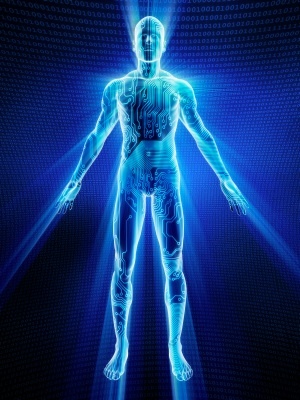 A cyber-brain here, a bionic limb there with some genetic engineering and a few nanobots sprinkled in for good measure. Being without such tech integrated into their bodies may be a one-way ticket to second-class citizenship, maybe even slavery. Choosing to live as God created them could become a great sacrifice. I have argued many times that once we must violate our bodily integrity with technology, not to get ahead, but to just keep up, that is the moment when we no longer are masters of our technology. That is the point where technology is our master. That is when we become slaves to the things we have created. You’d literally have to change the human genome to stop wealth discrepancy…. The only way things will change is if we’re smart enough to develop technology that can think us out of this, meaning augmenting ourselves genetically to be smart enough to change sh**. This is the message many of the young people are receiving today. Jesus is not your savior; technology is. Love and charity are not the answer; technology is. Deny your nature. Enhance and the world will be a better place. Except augmentation will not stop wealth discrepancy. It will only make it worse. The wealthy will have the means and the access to enhance themselves and their offspring. Not only will they have greater monetary resources, but they will be superior in intelligence and strength as well. What happens when the wealthy can upload four years of medical school to their cyber-brain in 30 seconds? What happens when their children are genetically engineered to have an IQ that is not even on the chart? What happens when the wealthy have nanobots that allow them to run at Olympic sprint speeds for 15 minutes without ever taking a breath? What does that mean for the poor and un-enhanced? Does the chasm between the poor and the wealthy get smaller or does it become impassable? Slowly and painfully, advanced societies have realized that simply being human entitles a person to political and legal equality. In effect, we have drawn a red line around the human being and said that it is sacrosanct. Apart from technical difficulties and the real and potential risks involved, such manipulation would promote a eugenic mentality and would lead to indirect social stigma with regard to people who lack certain qualities, while privileging qualities that happen to be appreciated by a certain culture or society; such qualities do not constitute what is specifically human. This would be in contrast with the fundamental truth of the equality of all human beings which is expressed in the principle of justice, the violation of which, in the long run, would harm peaceful coexistence among individuals. Do your children and humanity a favor. Tell them that enhancing their otherwise healthy bodies is bad for them and for their fellow man. Technology, while nice, cannot and will not save them. Only Christ can do that. All of this is of coarse prepending by a requisite belife that there is a God. If one does not believe in God then the fate of humnity is unimportant. The disadvantage of the poor is irrelivant and only personal pleasure and momentary conquest are of any value. So just to be clear , this is God vs the Demonic and athiesim is the vector. I have been a technologist for almost 20 years and know this is true beyond any doubt.